Our private sessions are different to our corporate events and public sound baths. With a personal session, we can focus on your specific needs or ailment. Personal sessions or private consulations can be organised for small groups, a couple or most commonly, a single person. 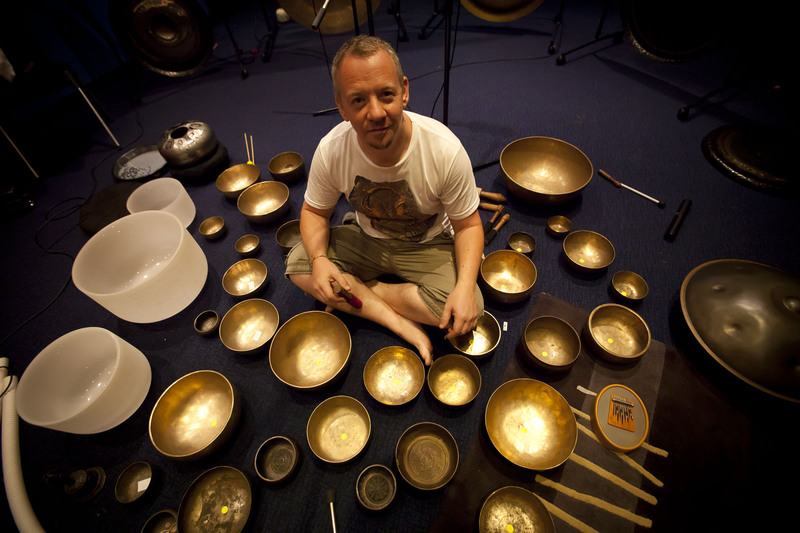 We can create a specialised focused sound bath using all instruments or work with specific instruments and you can choose between tuning forks, tibetan bowls, chimes, drums hang, gong, crystal bowls depending on your preference and needs. We can also teach sound techniques hands on how to use tools/instruments if your needing support in your own practice or want to get a feel of something new before making investments in new tools or instruments. 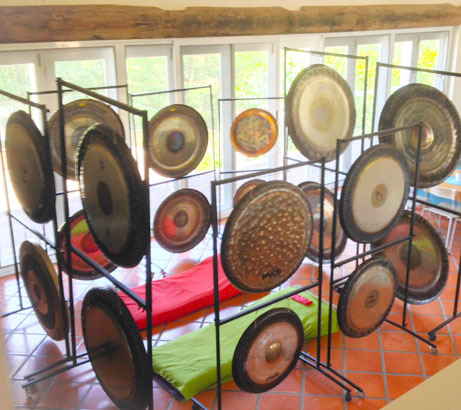 If you are in Byron Bay why not consider a private session – a 1.5 hr luxury up close and personal sound bath surrounded by gongs. It’s also a great idea if you are looking for that unique gift – call us to organise a gift voucher! In a private session, we like to discuss your objectives and / or current challenges if there are any, prior to the session so that we can set the right intentions, and then we let intuition come in to play. 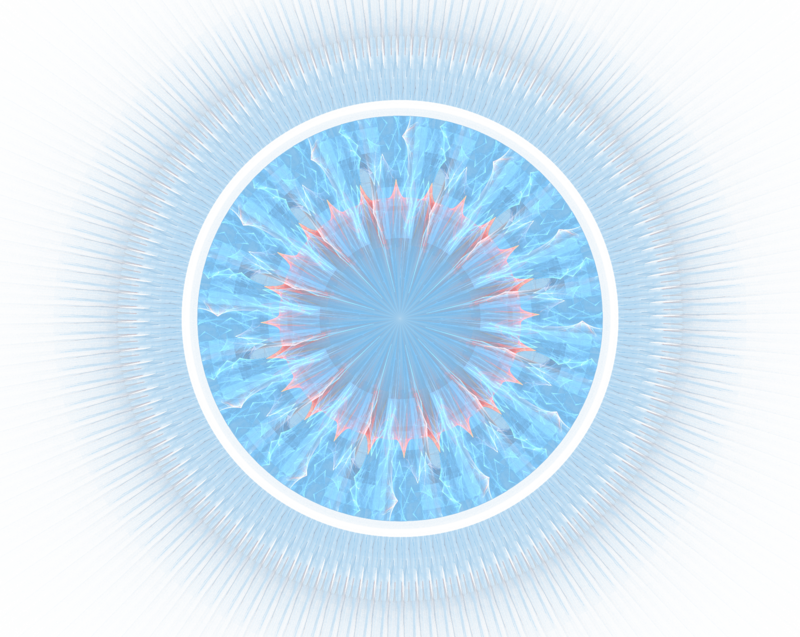 You will lay on a comfortable mattress, while we create the vibrational sound experience unique to you. We typically play for a little over an hour, and then leave you to conveless / integrate the experience alone for another 20 – 30 min. The entire session usually goes for 1.5 hrs, so wear comfortable clothing. If you’re feeling you might like to also deeply drift away we can arrange for you to a have a power nap and depending on time can allow you to drift off to sleep and be woken a few hours later. You dont miss any of the sound vibrations if you sleep it in our experience can be a nice cocoon to rest in deep sleep. Cost : $120 for one person and $170 for two people. We are located in Myocum, 15 min drive from Byron Bay, Northern NSW. We use bowls crystal and tibetan/singing bowls as a part of the soundbath to add some variety and texture to public events, but we also find that they have a special quality/power and ability to bring focus to a specific situation. We also use chimes from a fellow sound healer from our local area, who also shares our love for Mayan Astrology. 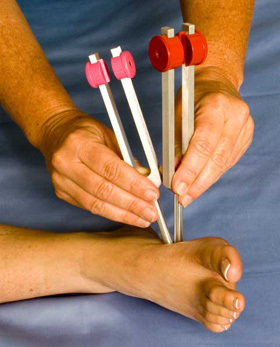 Tuning forks are also a part of this treatment and are especially effective with direct contact to the body, allowing the frequencies to deeply resonate within you. It hard to describe exactly what will happen in a focused bowl, tuning fork fork and chime sound session and of course this does not negate us using a little gong too if you request it too. We generally focus on specific emotions and areas of the body. 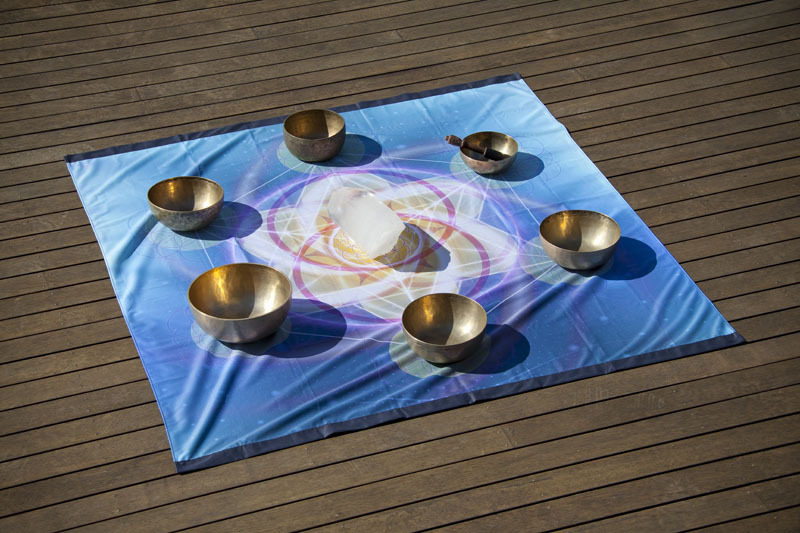 The bowls and tuning forks can clear chakra, energy imbalance, release tension and muscular pain. They are also a great way to relax or to go on a journey of self enquiry. We have 30+ tibetan bowls, Crystal Tone Bowls and many forks. The sound and energies from the bowls and forks might be subtle but their potency is not to be undersold we promise. We like to discuss your objectives or challenges prior and also then also let intuition play apart in the second half of your session. Within this based on what comes up in the session we can apply many techniques learnt from many sources. These sessions are normally carried out on the floor and run for around an hour, so wear comfortable clothing and if you need a particular area of physical focus, wear clothing that will allow us access to touch you with tuning forks. We continue to study and train in this field and its almost daily discovery, with influences from work by some amazing people. Each in turn influence our use of sound, they all have their own comprehensive approaches but we have found a little of each of the practices really offers the best of all worlds to our clients. We have many years experience in preparing and delivering training and creating services. In former careers we have both been involved in organisational change for international corporates and have a 25+ years providing business services. These skills can be applied to sound healing and sound education. We love to share our passion and if you are looking to get into the sound arena, develop your practice or gain exposure and hands on experience with instruments, we can help. From a weekend to a few hours, anything is possible. We are available at an hourly rate consultancy or can host a sound workshop for you. Gaining useable knowledge and experience with sound was a hug challenge for us when we started out, we are passionate about everyone using sound so hopefully we can fill some of those gas for you or simply boost your confidence to work with sound. 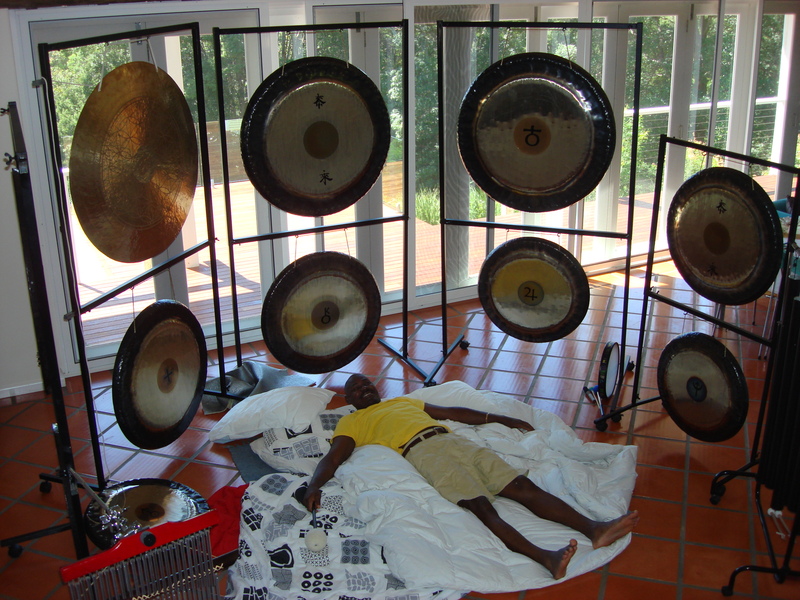 Do you need to create a performance, hold a gong/sound bath? Do you need to walk through logistical considerations, marketing and promoting your business? Gongs – Do you just want to get more hand ons, want to deliver a personal gong session, or know more of their history and origins, understand mallet selection and playing techniques? We can also help sourcing some instruments and have many contacts, although generally we do not sell them. Occasionally we on sell some of our own instruments and or people ask us for support to sell theirs. Really this is POA service due to the variability but you can use $100 per/hr as a guide for work or sessions up to 5 hrs, longer periods will be by negotiation and at a reduced rate. The price of the sessions will also depend on location and or the instruments to be transported. When at home in Byron if you come to us there will be no transport fee or additional charges for instruments used.